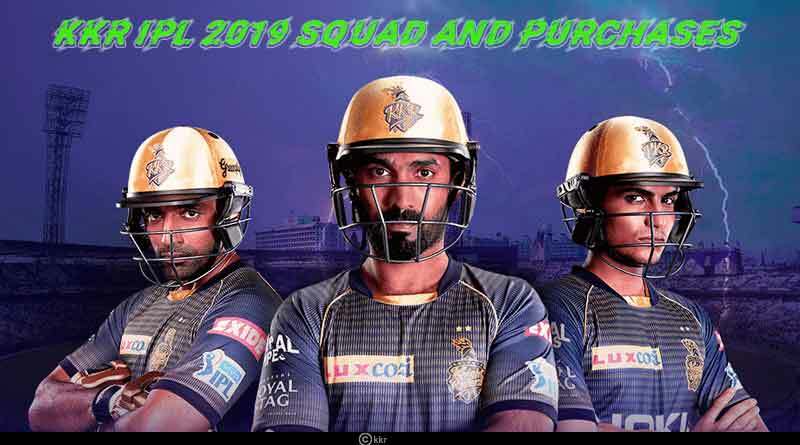 Everything you need to know about the IPL 2019 Kolkata Knight Riders Team. Going into the IPL 2019 auction window with a budget of Rs 15.2 crore in their hands, KKR looked to massively overhaul their squad ahead of the upcoming season. For KRR, unlike the majority of the sides in this year’s season, the main objective was embedding in new players to an outfit that has failed to impress in recent times. Letting go of 8 players ahead of the auction market, which included five overseas players like Mitchell Johnson, Cameron Delport, Javon Searles, Vinay Kumar, Ishank Jaggi, Tom Curran and Apoorv Wankhade, KKR had both the batting and bowling department to address for the new season. Releasing Starc from their bowling unit, with Australian world cup contenders mostly deciding to give the IPL a skip, KKR’s main conundrum ahead of the auctions was to revamp their pace battery along with add numbers to their middle-order. Going about the task, Lockie Ferguson was added to bolster the pace unit for Rs 1.60 crore and England batsman Joe Denly for Rs 1 crore. West Indies’ Carlos Brathwaite was their most expensive buy at Rs 5 crore along with the side also roping in Anrich Nortje, wicketkeeper-batsman Nikhil Naik, Harry Gurney, Prithvi Raj Yarra and Aman Khan all at their base prices. Braithwaite, who previously played for Delhi Capitals has 170 runs to his name from 14 IPL matches so far. The side has announced the involvement of two new players in Sandeep Warrier and KC Cariappa as replacements for the injured pacer Kamlesh Nagarkoti and Shivam Mavi in the upcoming edition of the league. KKR will start off their IPL 2019 campaign with a clash against Sunrisers Hyderabad on March 24. Despite the side chopping and changing heavily as they look for an upturn in success for themselves, the buys incorporated by them are not those which induce a massive amount of confidence. Dinesh Karthik has failed to inspire ever since taking over the captaincy be it with both the bat and at the helm. Their buys are haphazard as well, offering no semblance to the side and the calamitous transfer window filled with panic buys could see them dwindle in this season. Full squad: Dinesh Karthik, Robin Uthappa, Chris Lynn, Andre Russell, Sunil Narine, Shubman Gill, Piyush Chawla, Kuldeep Yadav, Prasidh Krishna, Shivam Mavi, Nitish Rana, Rinku Singh, Kamlesh Nagarkoti, Carlos Brathwaite, Lockie Ferguson, Anrich Nortje, Nikhil Naik, Gurney, Prithvi Raj Yarra, Joe Denly, Aman Khan. For more articles like ‘IPL 2019 Kolkata Knight Riders Team’, do follow us on Facebook, Twitter, and Instagram.